SCA is there for its customers and consumers. To understand their needs and expectations and how SCA best can meet these, the company is engaged in a continuous dialog with customers and consumers. During 2016, SCA’s products and solutions have, for example, simplified cleaning public restrooms and enabled people with incontinence to continue with an active lifestyle. Sheffield Teaching Hospitals NHS Foundation Trust (STHFT) delivers quality healthcare throughout the South Yorkshire region in the UK. It operates across five different sites throughout Sheffield city center. With more than 13,000 staff, it is crucial that washrooms are clean, tidy and fully stocked for both patients and visitors. Hygiene is a top priority for STHFT. Large hospitals with many patients need effective hygiene products that perform well when they are busy. Hospitals also recognize the need to reduce waste and make cleaning work more cost-effective. STHFT was concerned by the amount of paper that seemed to be wasted with paper being left on the floor in their washrooms. This made the routine task of cleaning the facilities more difficult and time consuming for the domestic service employees. This issue led to increased costs and made the washrooms less sanitary, as the excess paper strewn on the floor meant poorer hygiene. STHFT needed a new washroom product that would solve the issues of increased work load and hygiene concerns which would ultimately make washroom maintenance easier and less time consuming. 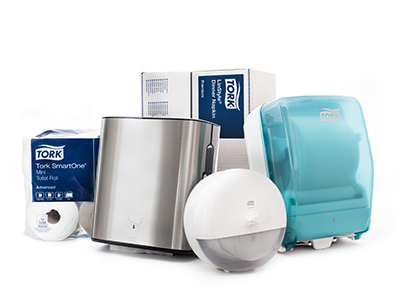 They chose Tork SmartOne® from SCA. Tork SmartOne® is designed for use in demanding environments, such as hospitals, schools, stadiums and airports. These public places often have washrooms with high traffic where stringent demands are placed on cost control and good hygiene. Consumption of toilet paper can be reduced by up to 40% compared with traditional jumbo roll dispensers. The single-sheet dispensing system also improves hygiene and reduces the risk for pipe blockages. “Living with incontinence does not need to be taboo. Instead we should learn to talk about it and not be afraid to seek treatment.” So says Edwina White, a woman who has lived with incontinence for almost ten years. Edwina White is a retired psychotherapist living in the UK. She became incontinent at the age of 67. However, she admits that, for a while, instead of seeking treatment, she ignored it and hoped it would go away. “Eventually, I found the courage to go and see a specialist and that meant owning up to the problem,” she says. “My advice to someone with incontinence is that you should take it seriously, go and see a specialist about it. But also talk about it with friends and family. Try the medicine, the interventions and the exercises. And in the meantime, you can feel confident that you’re not going to be caught out, simply by using TENA pads. 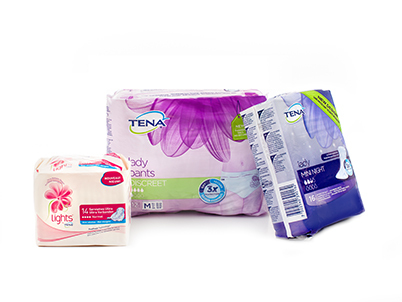 TENA’s products provide comfort, discretion and reliability. With the help of TENA, I feel confident and can continue to do everything I like to do,” says Edwina. Customer feedback is important to be able to offer better products and solutions and the SCA business units have methods to investigate customer satisfaction. User complaints and opinions provide valuable consumer insight and it is important to SCA that the knowledge gathered is transferred to the organization. The hygiene operations conduct a systematic customer follow-up, which includes both external reports and SCA’s own surveys. For example, SCA has a global system of customer follow-up in the incontinence products and tissue operations. These reports are important as decision support for SCA and provide an indication of customer satisfaction and improvement potential. In addition to products, SCA delivers crucial knowledge and support in the development of operations at such institutions as nursing homes and, accordingly, highly values opportunities for direct customer contact. The retail trade accounts for a significant part of SCA’s sales. SCA uses external comparison reports where the largest retail chains assess their suppliers based on such criteria as customer service, logistics, sales support, marketing and product development. Consumers who purchase retail products are studied through general brand and product recognition surveys. SCA has procedures for managing customer complaints. All information received by SCA’s customer service team is entered into a global business system. SCA seeks to contact unsatisfied customers directly and determine whether a need exists for further measures beyond the individual case. For example, production personnel receive feedback to determine whether a production fault was the underlying cause.